YOU SELECT THE FABRICS, ALL STYLES ARE FULLY LINED, THEY CAN BE ACCESSORIZED BACK TO OTHER ITEMS SUCH AS PILLOWS, PLACEMATS, BEDDING, and we make it for you. 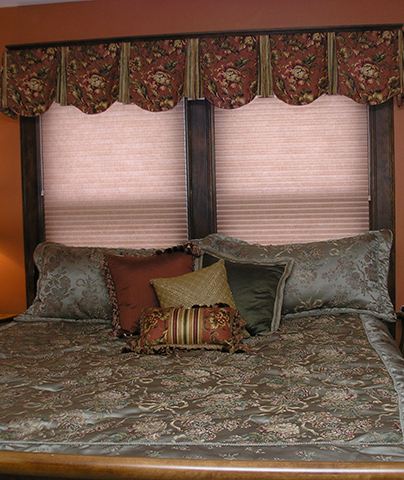 This category offers Personalized Assistance to ensure measurements while still enjoying excellent value. 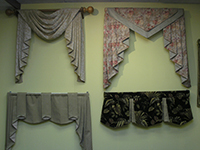 These styles are easily mounted on drapery rods or wood poles, so they are EASY TO INSTALL, or We Can Do It For You.